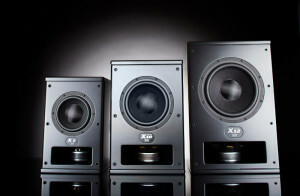 Speakers, amplification and more for home theater, family room and audiophile systems. High end separates are the way to experience every molecule of care, quality and dynamic subtley that went into the production of your favorite audio and video media. We offer separates from Parasound, Yamaha, Marantz, Denon and Halo. Parasound Halo is one of the finest choices you can make for an emotionally inspiring listening experience that will always stay fresh. These well-crafted components by legendary designer John Curl perform well above their class. From preamps/power and integrated units in stereo/2.1 to highest quality analog 7.2 pre/amp combos for cinema sound with the digital video circuitry outside the box, Parasound delivers quality audio for your home environment. We love this company. Please see our authorized dealer statement at the bottom of this page. Legendary MK Sound speakers have always been one of the most widely used monitor speakers in film mixing and quality home cinemas worldwide. The 150 Series are the monitoring system of choice at facilities like: 20th Century Fox, Dolby Laboratories, DreamWorks SKG, DTS, HBO Productions, Lucasfilm LTD, Paramount Studios, Skywalker Sound, Sony Music & Pictures, Universal Studios, Walt Disney Studios, Warner Brothers Studios and more. 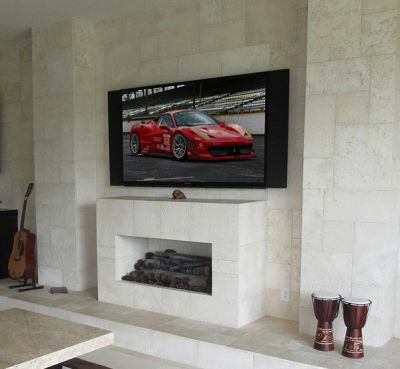 Hmmm, MK must be pretty good……..
MK offers a full line of surround speaker systems for any budget and application, from your living room system to a huge THX Ultra Certified dedicated projection theater. The new 950THX Select2 system is garnering rave reviews in the home theater world for raising the performance bar to new heights at it’s price point. Here is a review of the 950THX system from Home Theater magazine’s Feb 2011 issue. What better way is there to enjoy movies and music than listening on the same speakers they were made with? Totem’s founder and lead designer Vince Bruzzese is well respected in the audio community and his success comes from pursuing his original vision to create a better speaker. Just the kind of company that we are proud to represent and are excited to work with! Totem speakers are built in Montreal by skilled Canadian craftsmen. Founded in 1961 in England, KEF is a very high quality speaker designer that got their start building reference monitoring systems for the groundbreaking BBC broadcast studios. KEF is the most popular home theater speaker in the UK and are also highly regarded as a nearfield monitor in music studios. Artison’s ingenious speaker designs are the perfect solution for a common living room scenario: the HDTV over the fireplace where you would like to have excellent surround sound that doesn’t visually take over the whole room. Their dual mono center channel technology works quite well for all surround sources, Bluray, cable and music too. And they do sound great, we believe Artisons to be the best sounding among similar custom form factor designs. What are they? An extreme quality crafted product with a solid aluminum thinline cabinet design. Artison speakers are designed to mount with your TV and come with custom sized grilles to perfectly match the size and blend in visually as part of your HDTV display. Each left and right speaker has a dedicated center channel complement of drivers that comprise the dual mono center channel concept. This gives you a true left/center/right speaker configuration that is worthy of being included in a high performance system. All coming from two cabinets that blend right in with your HDTV! 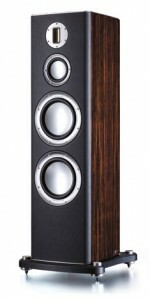 British Designer Monitor Audio is known worldwide for their excellent audio quality and high build quality. Monitor, around since 1972 provides excellent support and is a top choice in the US custom install market. Monitor speakers deliver detail in spades with a refined, forward top end remniscent of classic British design taste. Their Soundframe series offers a great install solution of an in wall form factor with available digitally printed art grilles to match decor. 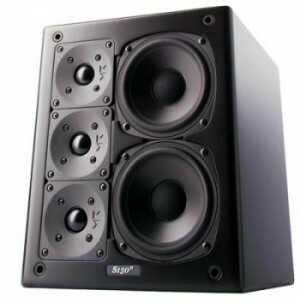 It is not an accident that we have access to a plethora of subwoofer designs from a wide range of the top manufacturers. To those interested in quality reproduction, a sub is not just a huge black box that you set wherever there’s room left over for it. Proper subwoofer placement and/or using multiple subwoofers can solve a variety of acoustic problems- that is the whole theory behind the invention of the powered subwoofer! A knowledgeable tech using the proper audio measurement tools like our Acoustisoft R + D system and armed with the latest research on small room acoustics can work wonders towards perfecting your listening environment. 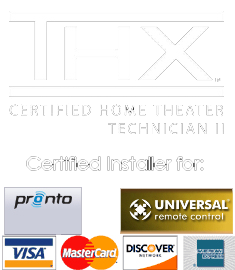 Theater Design Northwest is an authorized dealer/reseller for every product we carry in order to offer our clients legitimate factory authorized warranty service. See our full listing of available brands here. In order to insure the highest level of customer satisfaction, Parasound« Products are generally prohibited from being sold by mail, telephone, via the Internet, or in any other manner than in-person at an Authorized Parasound Dealer location. Products purchased in violation of this prohibition may be denied coverage under Parasound’s warranties. For further information, please telephone Parasound at 415-397-7100.